Even vicious Vikings can find themselves cornered by the enemy, and for a fight to the death in cramped quarters, nothing is better than a short sword. Be prepared for the worst and arm your Viking character with the Fidas LARP Short Sword. This historically themed LARP weapon is made from a specially designed latex-free, injection-molded foam with a strong fiberglass core. This core makes it particularly durable while still ensuring its safety for LARPing, theater, staged events, and more. It also features a protective coating that increases its durability and prolongs the weapons life. 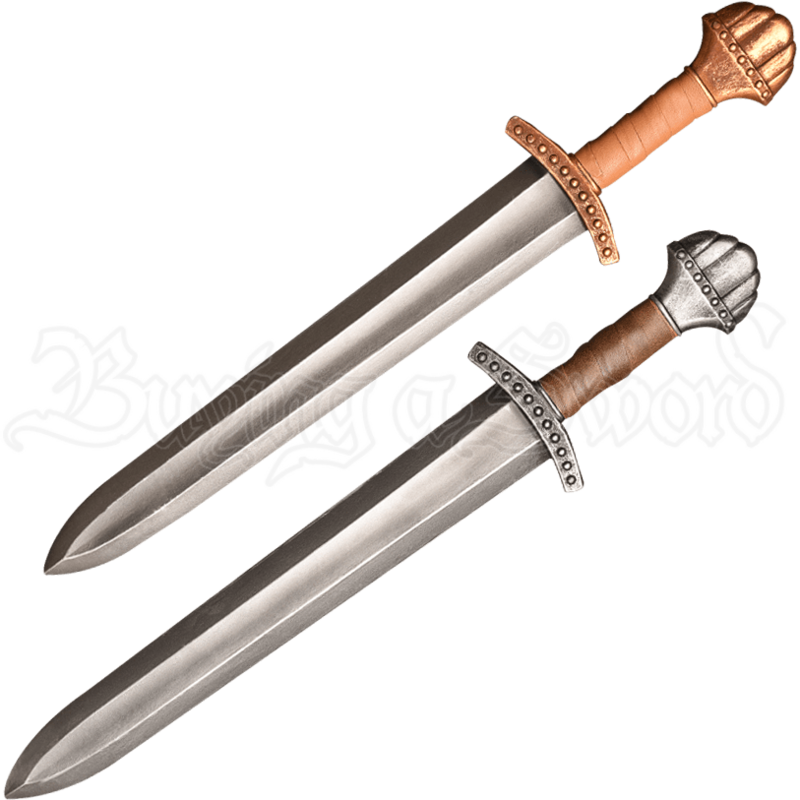 The sword is modeled after those of the legendary Vikings, complete with a deep fuller, a short crossguard, and a five-lobed pommel. 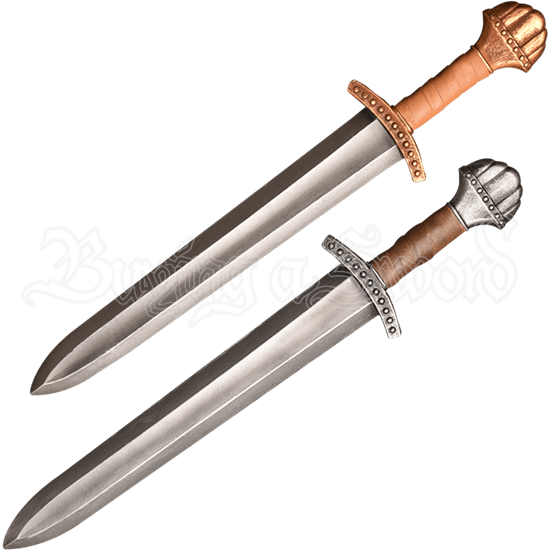 The hilt, which comes in either steel or gold coloration, is wrapped in leather, making gripping easy. The Fidas LARP Short Sword is a must-have for any Viking, barbarian, or adventurer LARPers. This LARP weapon is made without using latex but still benefits from periodic silicone treatments. As such, we recommend the use of our Maintenance Silicone for LARP weapons, as it will help prolong the life of the foam's special coating.